Today, on what would have been Michael Hutchence's 50th birthday, fans around the world are remembering and celebrating the life of one of Australia's most charismatic frontmen. Michael died at age 37 in November of 1997 in his room at the Ritz-Carlton hotel in Sydney. A Facebook group has been set up in an online effort to push INXS's classic track "Don't Change" to the coveted top spot - in time for today. It was announced yesterday that all sales from "Don’t Change" will be donated to the Red Cross Haiti relief effort. "Don't Change" was recorded in 1982 and comes from the band's third album Shabooh Shoobah, their first to be released worldwide. Shabooh Shoobah stayed on the Australian albums charts for 94 weeks. International interest in INXS was a long time coming, with the band performing their first US show to 24 people in San Diego, California in 1983. This writer had the opportunity, which she did not take, to attend their free show at Magic Mountain in Valencia, California in August of 1983, a decision she regrets to this day. Dumb girl. INXS are one of Australia's most successful exports and have gone on to sell 30 million records worldwide. In 2001 INXS was inducted into the Australian Recording Industry Association (ARIA) Hall of Fame, which recognized the band's achievement of a "significant body of recorded work" and that they "had a cultural impact within Australia." Celebration of Michael's 50th birthday and the push to get "Don't Change" to #1 comes as INXS gears up to embark on a large scale world tour, beginning with a performance in Vancouver for the 2010 Olympic Winter Games - although the band is yet to announce who will front them on the tour. 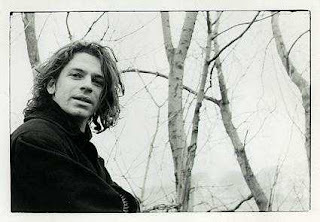 Jim Guest, the UK-based creator of the Facebook campaign, believes the achievement would be a fitting way to remember Hutchence. "Since his death, his achievements and the memory of what he, with INXS, contributed to music worldwide have been allowed to dwindle to being nothing more than a footnote," Guest said on the site. "With this in mind I'm hoping we can get Michael to number one, not just in the UK but anywhere the interest is around the world, in time for his birthday." It is estimated just 2000 iTunes downloads would be enough to make the single #1 in Australia. Also, in celebration of Michael's 50th, one of Australia's top music and celebrity photographers, Serge Thomann, will be projecting exclusive personal photographs of Michael on the wall of Melbourne's historic Palais Theatre. In 1986, Serge Thomann launched his professional career in photography after being commended by Michael Hutchence for the photographs he had taken at one of INXS's Melbourne gigs, and they then became good friends. Serge is renowned for his work with many musicians including U2, Michael Jackson, Madonna and Kiss. This exclusive photo projection display is a free event, and will take place outside at 9:30 p.m. until midnight tonight at the Palais Theatre, Lower Esplanade, St Kilda. Afterwards guests are invited to come have a drink at The Vineyard next door, where Michael Hutchence/INXS music will be played. Material: news.com.au, Official Michael Hutchence Facebook Page, and Australian Recording Industry Association Ltd.